Deal Analyzer, Cash Buyers, CRM & More... All In One Great System! ​starting at just $49.00 Per Month / 30 Day Free Trial! 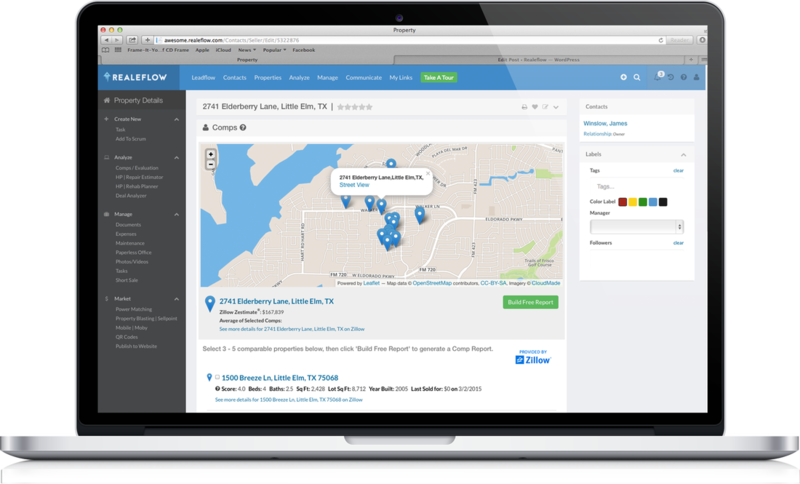 Leadpipes is your own private search engine and the ultimate shortcut for generating quality real estate leads fast. 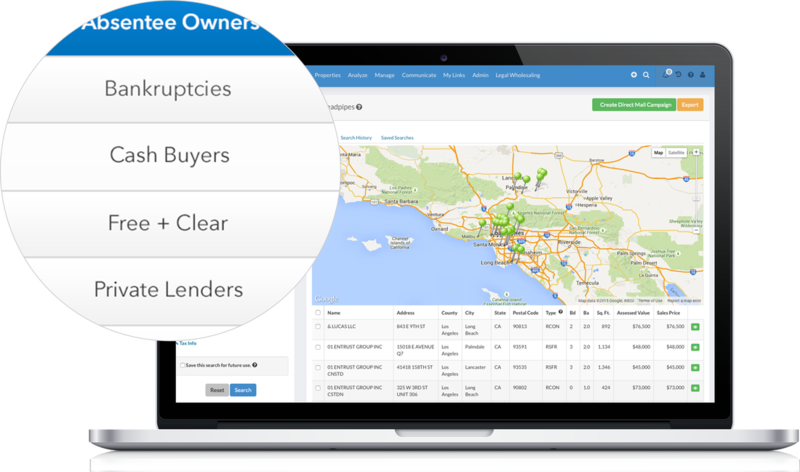 Search for, and download, thousands of buyer, seller, and private lender leads in your area daily. ​Eye-catching designs and professionally written copy portray you as the trusted expert in your market. 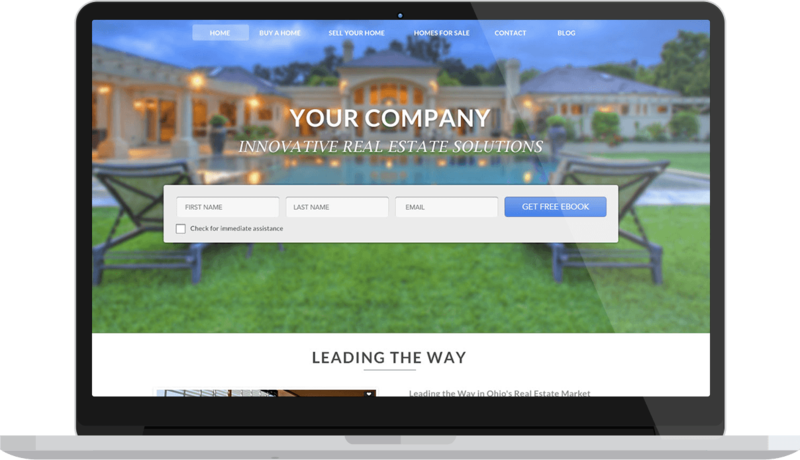 SEO websites and squeeze pages include everything you need to launch your highly converting, custom real estate website in under 3 minutes with no web design or copywriting experience needed. 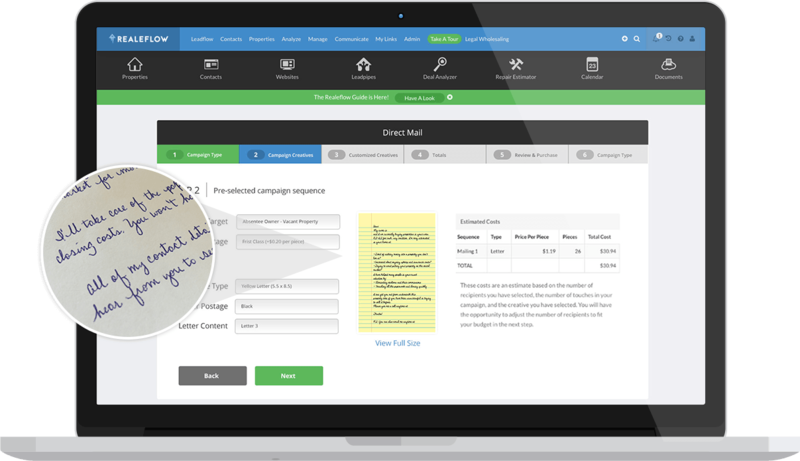 ​Single and multi-touch direct mail campaigns are just a click away. The fully integrated direct mail engine incorporates a full marketing library with tested and proven marketing campaigns comprised of highly responsive personally penned letters, handwritten font yellow letters, and postcards. Printing, stuffing, stamping, and sending the right direct mail pieces to the right people at the right times is all handled for you. 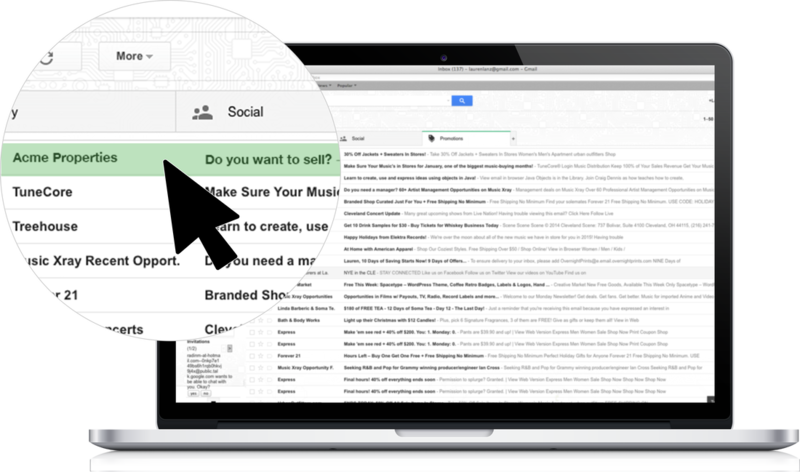 ​Initiate automated email follow up campaigns when new leads enter your system. Pre-written single-step and 10-step emails have been tested and proven to consistently engage and convert your web leads to deals. ​Assess accurate repair estimates in a single walkthrough and create complete rehab plans including labor and material costs and Home Depot Product SKUs, without the need for a contractor. ​Make smart offers every time and remove the guesswork from every deal. You tell us what you know about a property and we’ll tell you if it’s a good deal. 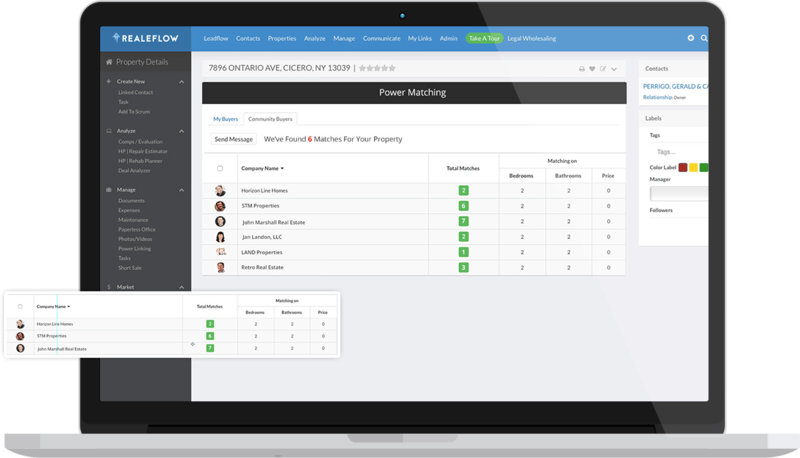 Manage contacts and properties, track deals at every stage, and effectively collaborate with team members in a centralized location. New Leadpipes and website leads are immediately deposited, stored, and organized in your account for easy retrieval and follow up. 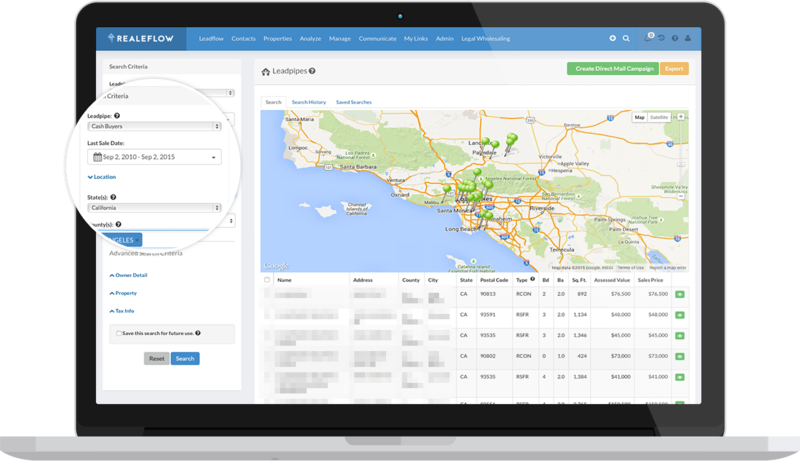 ​Access over 2 million active buyers, sellers, and renters through the Realeflow network in a single click. Close deals faster without the extra headaches… and keep your money in your pocket. 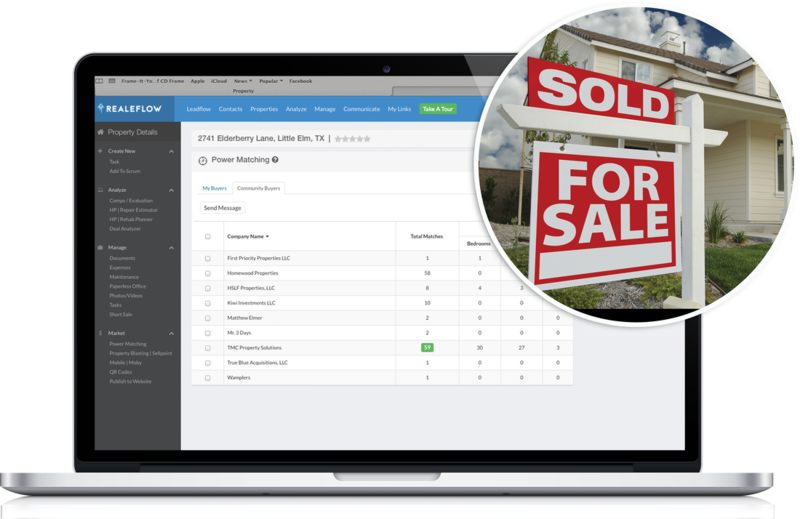 Once you log in to your Realeflow account, simply click on the Leadpipes feature to gain access to the names, addresses, and contact information for motivated sellers, buyers, and private lenders in your area. The next thing you should do is spend a few minutes (that’s all it takes) to set up your high converting seller or buyer lead generation website. Lastly, our Direct Mail wizard takes care of the marketing "grunt work" for you by walking you through the process of sending out pre-written direct mail campaigns that get your phone to ring. Before you even meet with the seller, you can generate accurate comps on the house and analyze the deal based on the data from Realeflow. Pre-loaded with formulas, all you have to do is plug in the purchase price, and our software will automatically calculate your estimated net profit. ​Once at the property, you can estimate repair costs on the spot by entering information into the Hammerpoint Repair Estimator as you walk through the house for the first time. Pre-loaded with hundreds of Home Depot products and SKUS, you’ll know immediately how much you’ll spend on repairs. You are armed with irrefutable evidence that you can present to the seller to validate your offer. ...you simply present the facts and use them to confidently negotiate a deal on the property. If you need additional funding to close a deal, you can now gain access to private money lenders in your area. Select “Private Lenders” from the drop-down menu and see for yourself how many people there are in your area that can play a huge role in your investing future. 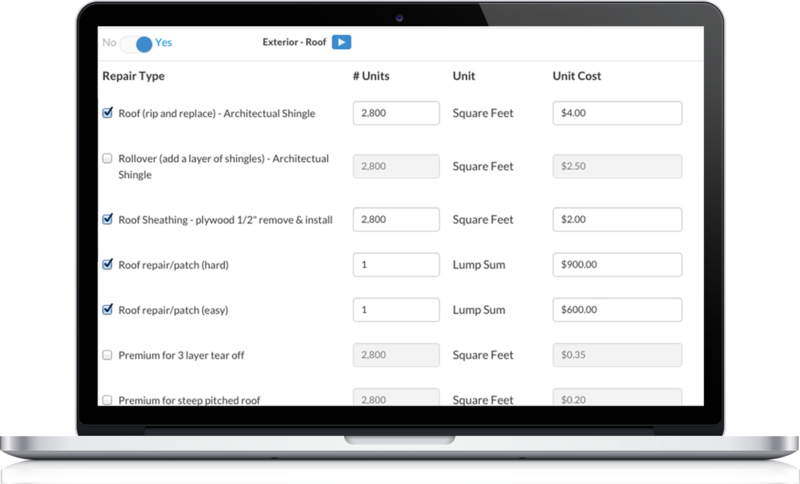 ​To truly streamline the rehab process, simply use the Hammerpoint Rehab Planner tool to map out all the work that needs to be done, including labor and material costs. This will help organize all the work associated with the property, and allows you (or your contractors) to get started IMMEDIATELY. Select the interior and exterior items that need work, generate a full report that includes every detail of the job, and hand that off to your contractor. ​In order to make any money as a real estate investor, you need to be consistently selling your properties when they’re move-in-ready. You can do this by using our tested and proven websites to continuously build your list of buyers. You can also use Realeflow's Community Power Matching tool which allows you to access over 2 million buyers and sellers with a single click. Once you have your property sold, simply repeat the process over again as many times as you like. Realeflow is not a product of The Wholesalers Toolbox.